It is an excellent yacht for those who want both a smooth ride at sea and high-end amenities. With a 4-foot draft and signature twisted bottom designed to increase stability while planing, this craft can weather storms that were once reserved for much larger vessels and approach shorelines once limited to smaller boats. The 1600-horsepower Caterpillar C32 engines and seven-blade propellers allow you to cruise at a comfortable but efficient 32 knots, faster than many other boats in its class. This yacht handles much slower speeds without sacrificing stability or steering capability. 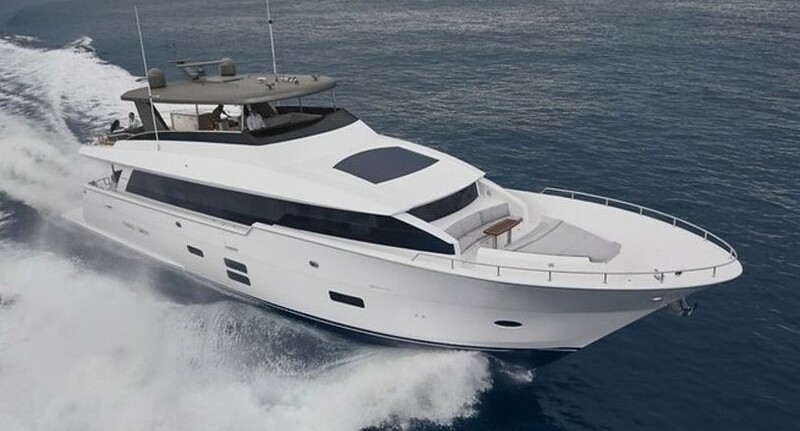 The Hatteras 54 Convertible also boasts a luxurious interior that features a large saloon, three staterooms, and two heads. This yacht is ideal for dedicated sports fishers as it includes a bait and tackle station, 149 square feet of deck space and a large, insulated storage bin. The Hatteras 54’s dual saltwater and freshwater washdown stations ensure that you can fish all day while leaving your craft looking spotless. SYS Yacht Sales is pleased to assist you in the purchase of this vessel. This boat is centrally listed by Yanes Yachting, C. A.